DASA UG 2019-20 Application Form has been released. Direct Admission of Students Abroad is for admission to Undergraduate courses of Engineering and Architecture programs in premium B.Tech colleges like NITs, IIITs, SPAs and CFTIs (Centrally Funded & Premier Technical Institutes). 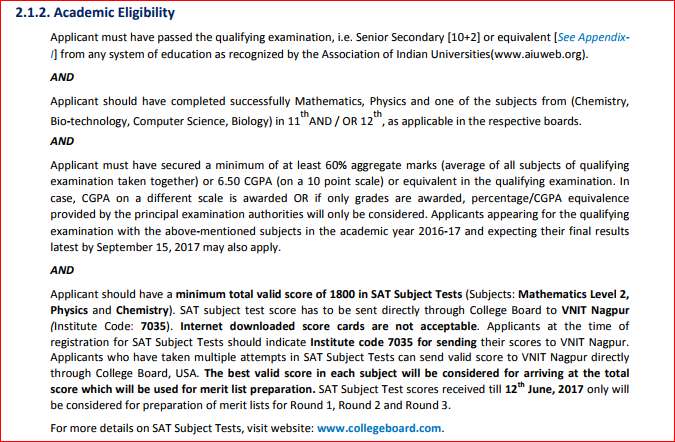 The admission is based on the SAT score and the aspirants should have a minimum total valid score of 1800 in SAT Subject Tests. This Scheme is led by Ministry of Human Resource Development (MHRD), Government of India for the candidates like Foreign Nationals/Persons of Indian Origin (PIOs)/Non Resident Indians (NRIs)/ Overseas Citizen of India (OCI). 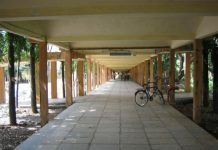 Visvesvaraya National Institute of Technology Nagpur is the coordinator for DASA UG and DASA PG. Latest Update: DASA UG 2019 Application Form has been released on 02 April 2019. JEE Main 2019 Online April Application Form process has been started from 08 February 2019. Candidates can fill theform now. 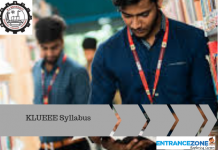 Check JEE Main 2019 Updates Here. Predict your Rank Here at JEE Main Rank Predictor 2019. The schedule/routine/dates for the DASA is given below. Note: These are tentative dates and based on previous year schedule. The application form for DASA Undergraduate programs for Foreign Nationals/Persons of Indian Origin (PIOs)/Non Resident Indians (NRIs)/ Overseas Citizen of India (OCI) will be released by VNIT, Nagpur. The application form for DASA UG 2019 will be available in online mode only. The Authority will release the online application form from 02 April 2019. Applicants will have to fill the form correctly and upload scanned photograph, signature and required documents on the application page. During the online application process, candidates have to fill the preference of participating institutions/courses. For the successful application submission, candidates have to submit the required application fee. Take the printout of duly filled-in application form and keep it safe for future reference. Note: All the dates are as per Indian Standard Time (IST). Following are the detailed information regarding Scholastic Assessment Test for DASA Process. Examination Name: Scholastic Assessment Test (SAT). Subjects or Knowledge/skills tested: Writing, critical reading, mathematics. Colleges accepting SAT: Most universities and colleges offering undergraduate programs in the U.S. Number of Applicants: Over 1.71 million high school graduates in the class of 2017. Colleges under DASA UG 2019-20: National Institutes of Technology (NITs), Indian Institutes of Information Technology (IIITs), Schools of Planning and Architecture (SPAs), and other premier Technical Institutions in India. 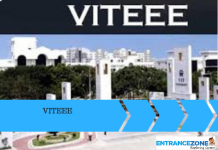 The Direct Admission of Students Abroad information brochure will be released by Visvesvaraya National Institute of Technology in the month of May 2019. Whereas, the DASA UG 2019 Information Brochure PDF is attached here for reference. Find Reservation for Children of Indian Workers in Gulf Countries (CIWG) and its fee structure in the brochure. Also Download DASA PG 2019 Information Brochure PDF here. 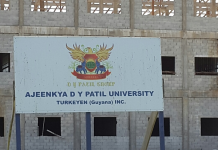 Age: Applicants must be born on or after 01 October 1994, And DOB according to the Secondary Education Board / University Certificate. The provisional list of DASA scheme 2019-20 of 45 participating institutions are as follows, Keep visiting the website of DASA-2019 for the final list. And candidates are advised to visit the websites of the individual Institutes for detailed information. Download DASA UG Seat Matrix for DASA Admission 2018 PDF Here. Note: For Indian Nationals students, admission to the above colleges will be on the basis of Joint Entrance Examination (Main) conducted by National Testing Agency. All selected foreign nationals must obtain a valid student visa as applicable to their category issued by the Indian Missions abroad. The visa can be obtained by producing the provisional admission letter and other important documents at the Indian Missions located in their respective countries. The applicants should ensure that they are medically fit to pursue the course of study they wish to. The aspirants will be required to submit the medical certificate from an authorized medical practitioner in their country or India for general fitness. Furthermore, the applicants will have to undergo a medical fitness test at the time of reporting at concerned institute. If the applicant is not fir then his admission may get rejected. There is a scholarship programme for Diaspora children, for higher and technical education in India. The Joint Entrance Examination is a National level admission test for B.tech./Engineering courses. 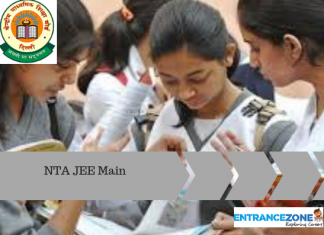 The JEE Main is also an eligibility test for JEE Advanced, which is a gateway to the IITs undergraduate Engineering courses. dasa 2019 notification, dasa 2019-20, dasa 2019 brochure, dasa nit 2019, dasa 2019 cutoff, dasa 2019 admission, dasa 2019. My Son Yashraj is currently student of Grade-12th, School-US Board high school Diploma. He is studying in Math, Physics & Chemistry in his grade-12th. Please confirm in case he has not appeared in Chemistry than still he will able to apply for NIT’s under NRI Quota ? If you read the eligibility criteria in DASA UG Information Brochure. You ward is eligible as per section 2.1.2 of the academic eligibility. applicable in the respective boards.” Where Chemistry comes into “one of the subjects” and “Mathematics, Physics” are compulsory. Hope this solves your query but keep an eye on 2019 information brochure of DASA, which is yet to be published. I am also emailing you a copy of DASA UG 2018 Information Brochure. My son has SAT 2370 score for CS OR ECE suggest some good college under DASA preferably in Delhi. Can we go ECE at IIITD if CS not available under this score. Tell me after admission in IIITD , can he eligible for SPDC scholarship like other NIT.